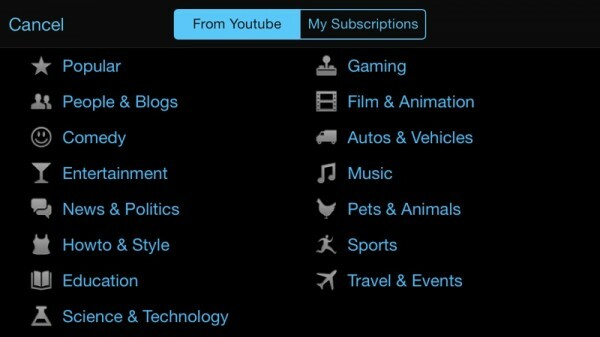 Youtopia for YouTube (Free) by Lifelike Apps, Inc is a slick way to browse YouTube on your iPhone. If you are looking for an experience that is better than the official YouTube app, then look no further. I could spend hours on YouTube just browsing and watching various videos, and I know this because it has happened before (as I’m sure it has for many of you as well). That’s why when I want to browse the most popular video site on the Internet, I want a great experience. Usually I’m on my computer when doing so, but I also watch videos on-the-go too, thanks to T-Mobile’s unlimited data (and good coverage where I am). 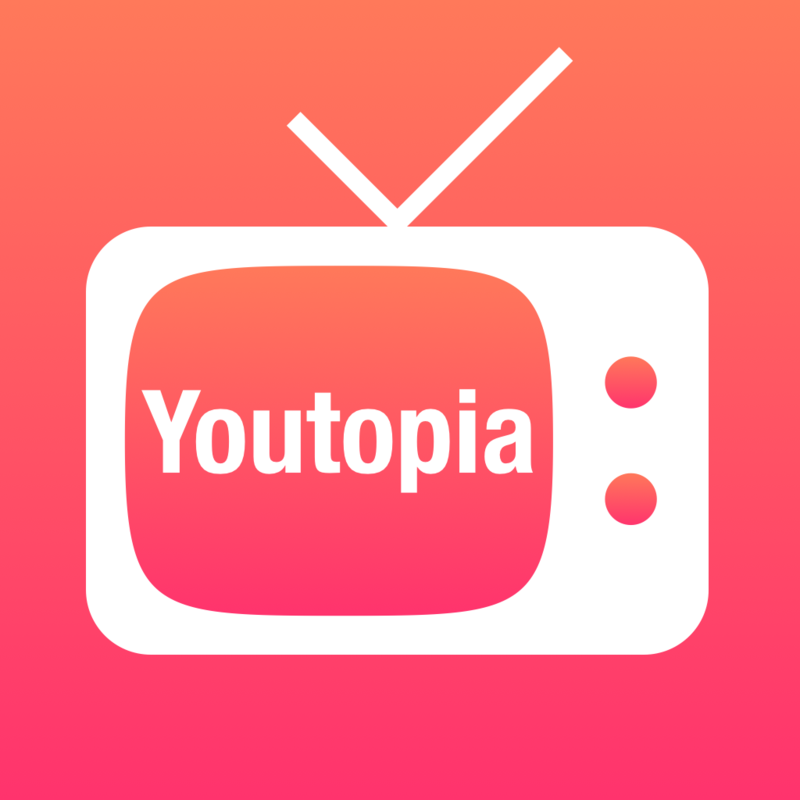 I’ve been using the official YouTube app for a while, but Youtopia may soon change that. When you launch the app, you’re greeted with a landscape design, optimized for the best viewing space. The entire app uses a sleek iOS 7-ready interface that is easy to navigate and understand, including the thin iconography used to represent each section. 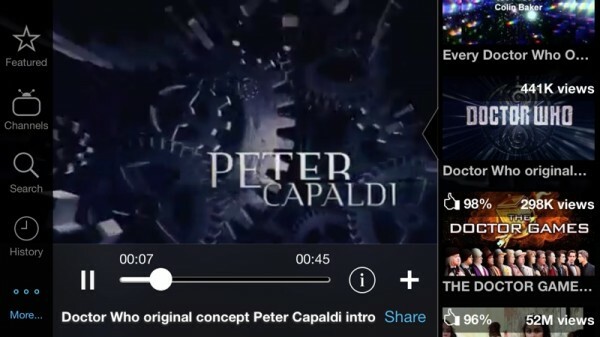 Most of the space in the app is used up by the currently selected video, and there will be a separate side bar with a selection of more videos to browse, while you are watching. That’s the biggest selling point of Youtopia: users are able to watch full screen videos while also browsing for their next source of entertainment. Now, if you’re a frequent YouTube user, then you may have accumulated a bunch of favorites, playlists, or watch later videos. If this is the case, then you will want to log in to your Google account, which can be done by tapping on the “…” button in the left side panel. Once logged in, you can access your Favorites, Playlists, and Watch Later queue. 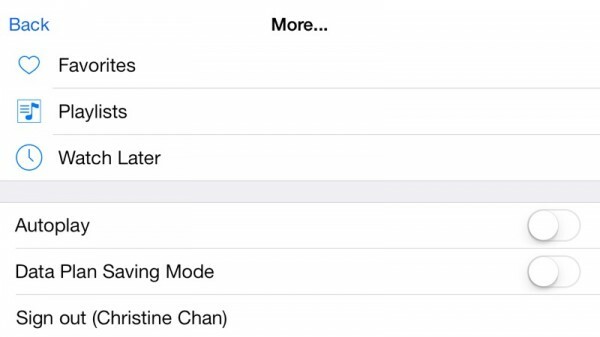 The settings will also include a toggle for Autoplay (the first thing I turned off, as it’s on by default), and a Data Plan Saving Mode. This is great if you’re on a capped data plan, but you will have to go through quality compressed videos. 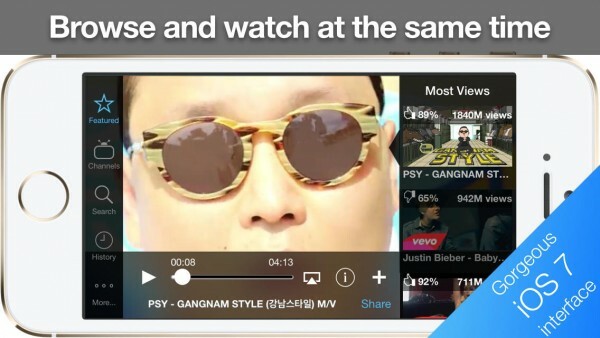 Going back to the main screen of the app, you can browse videos several different ways if you can browse the content. The left side panel will have Featured (For All, For You, and Most Views), Channels, Search, and History. Channels will feature the various categories of YouTube videos, or you can go through your current subscriptions from here. Of course, if you want to go through your saved videos, you’ll have to go back to the More menu. I wish that the side bar was able to scroll so you could access more content without having to go to another screen, which can be tedious. The Search is quite impressive, as you can search through video or channel names, or even use the advanced filters. 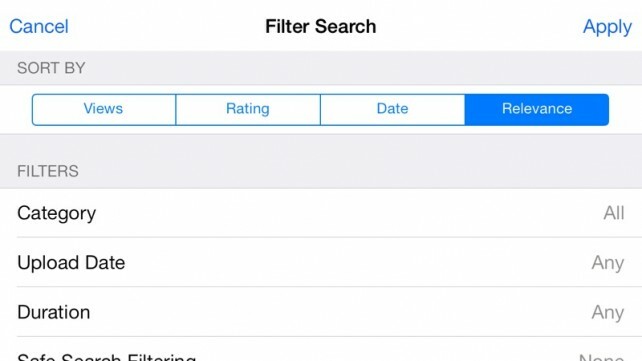 The Filter allows you to sort by views, rating, date, or relevance, and apply other conditions like category, upload date, and more. 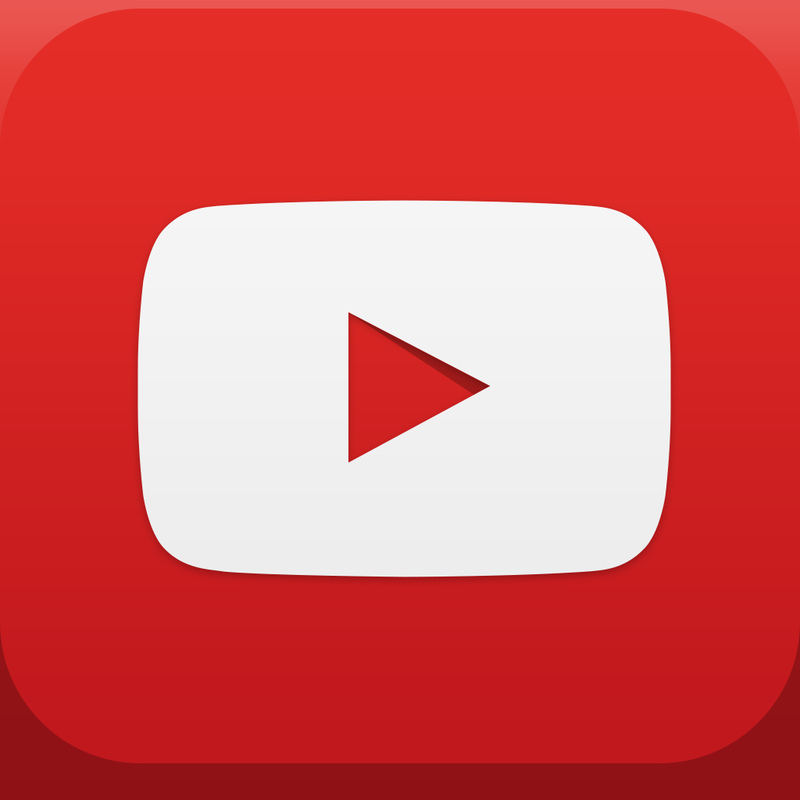 If you’ve ever had trouble finding what you’re looking for on YouTube, then this filter search may help out with that. 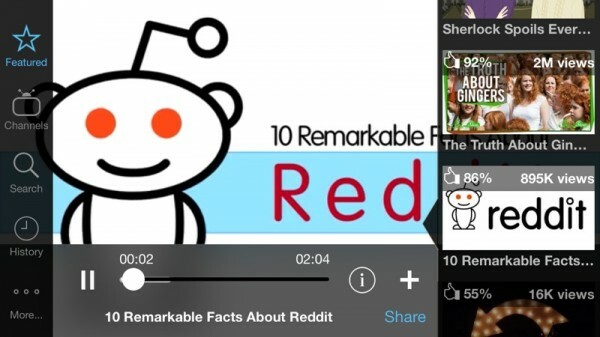 Once you find a video you want to watch, just select it and it will take up most of the center space of the app. 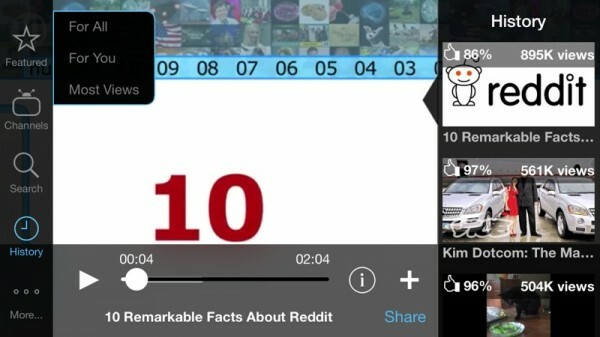 You can continue browsing in the right, but if you play the video, the side panels disappear after a couple of seconds, expanding it to full screen mode. Or, to enable full screen quicker, just tap on the screen while it is playing. If you want to view video details, related videos, or comments, just tap on the “i” button. 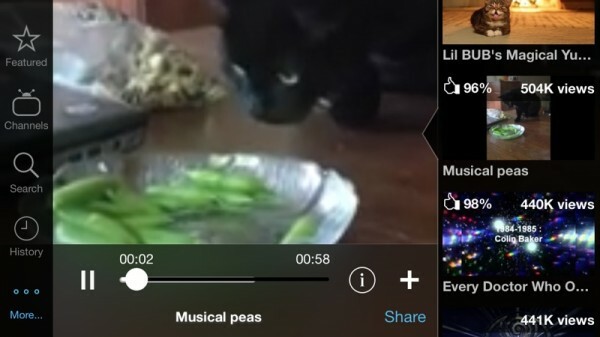 You can also scrub through the video by dragging the circle on the playback bar, share the video (Messages, Mail, Twitter, Facebook, Reading List, or Copy Link), and add it to your favorites, playlists, watch later queue, or subscribe to the uploader. So far, I’m enjoying Youtopia, but it’s not without a few flaws. The biggest annoyance I had with the app is the fact that even when it is not playing a video, launching the app, switching back to it, or even waking the device up into Youtopia will interrupt any current audio you have playing. While writing this, I’ve been listing to my music on Rdio, and I’ve had to constantly pull up Control Center to resume my music playback while browsing for a video to watch. I hope that the developer considers changing this so that the app only interrupts your current audio when a video is playing, as I believe that’s how it should be anyways. Other things that should be considered are having a scrollable sidebar on the left so you can fit more different navigation tabs instead of having to go to the separate More menu for Favorites, Playlists, and Watch Later. There should also be an iPad version of this app, as I think it would do well with the larger screen estate. Besides those flaws, Youtopia is a pretty decent app for browsing YouTube while you’re mobile. If you want to try something besides the official YouTube app, then this is worth a look, especially since it’s free in the App Store for your iPhone.